Jan 1, 2010 marks a milestone in more ways than one. For those of us who knew MSSR, it marks 30 years of his work as an independent software consultant. 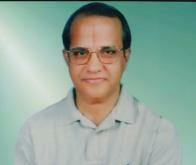 His pioneering work in the fledgling Indian IT industry in the 1980’s is widely respected and remembered well. This website is merely a beginning- A beginning to cherish and nurture the values and principles that MSSR valued. It is by no means complete and will continue to grow with your feedback and as more information becomes available.